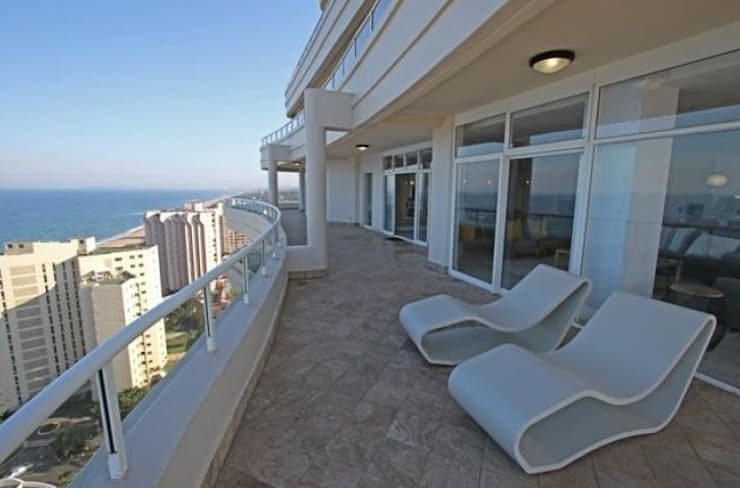 Is there anything better than having your own spacious patio/porch/terrace/balcony? Think about the potential it delivers: you can grab a cup of tea (or glass of wine, depending on the time of day) and enjoy a chat with a friend or some daydreaming by yourself; you can curl up on a sofa/chair and get lost in a good book; you can entertain friends and family members, especially when our trusty South African weather allows for it… so many ideas to consider! And then we haven’t even started talking about all the choices a patio provides for décor and furnishings. 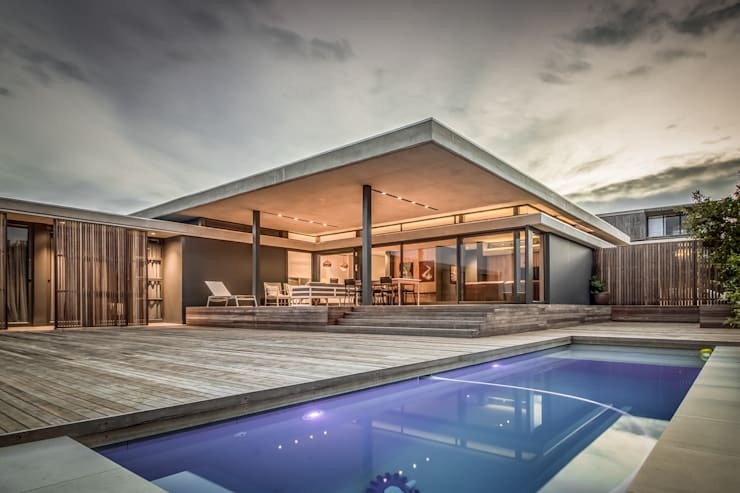 Of course your options will be determined by the style of your home and patio, yet it doesn’t matter if it’s super modern, charmingly rustic, elegantly Scandinavian, or another design altogether – you’re bound to have loads of options! 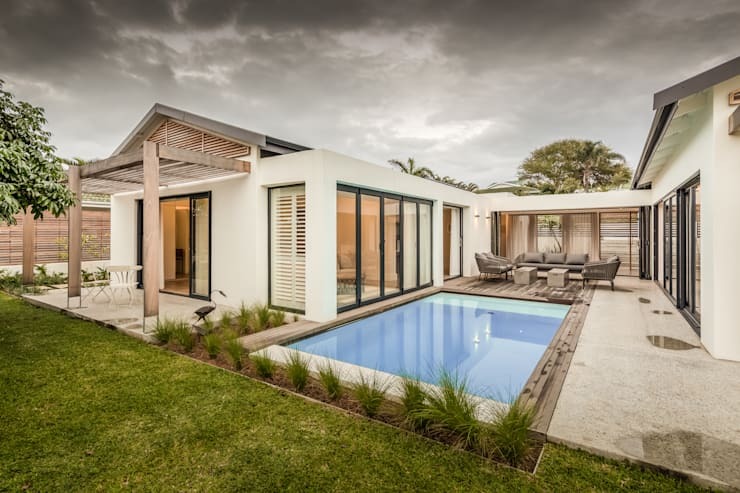 So, to celebrate the potential of a beautiful patio, we turn to a few located in and around Durban, seeing as Durban gets to deliver not only beautiful seaside views, but also a comfortable climate perfect for outdoor socialising. 1. 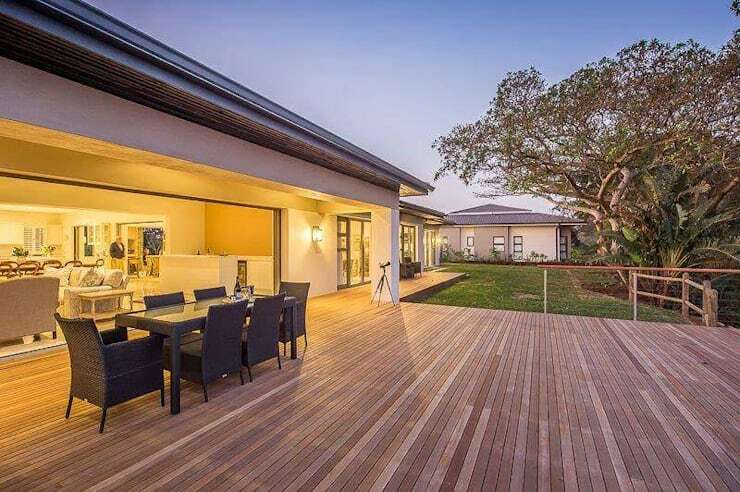 A wooden deck with timber furniture pieces, as well as an open roof? This one certainly gets our vote! 2. Look how beautifully that deep-blue pool stands out amongst the earthy hues of this spacious patio. 3. This example takes on a more glitzy style thanks to the lighting fixtures, as well as the way in which the house opens up to the outside areas. 4. Quaint, yet still perfectly acceptable. And we love that café-style patio on the far left! 5. 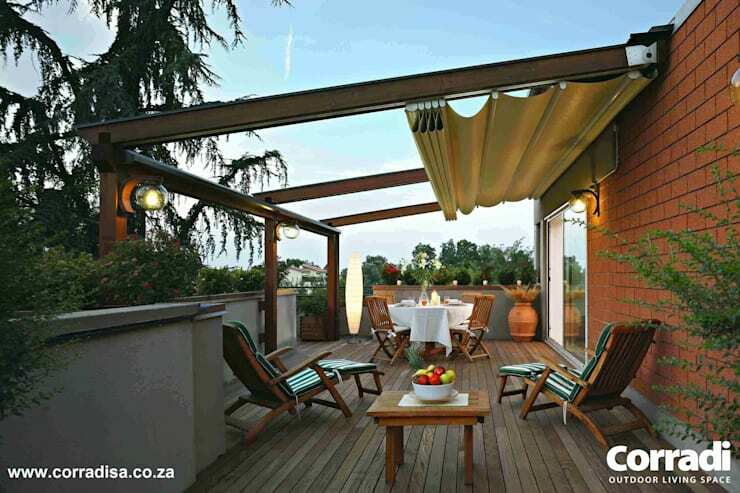 This patio/balcony’s elongated style allows for quite a handful of décor- and furniture options. Plus that view of the Indian Ocean is unsurpassed. 6. 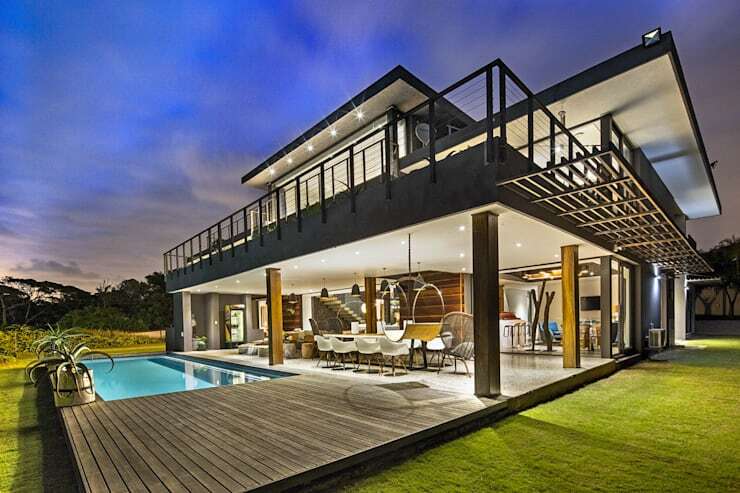 Can you see yourself hosting an intimate get-together here with a few close friends? Pool party on the patio! 7. 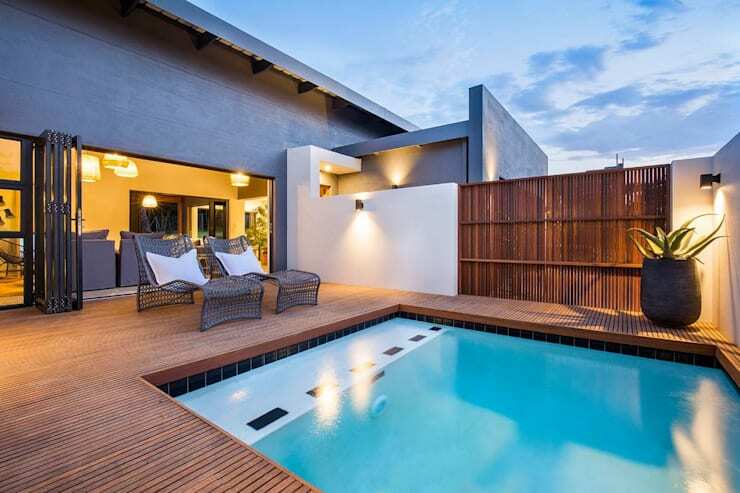 See how gracefully this wooden patio separates the sleek interiors from the lush outdoors. 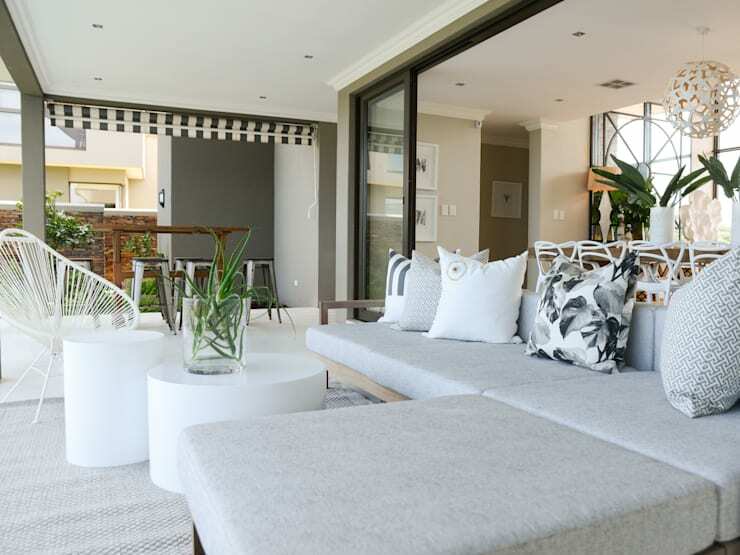 8.	Who said a light-neutral colour scheme can’t work for an outdoor space? This patio, although not the biggest, skilfully delivers an elegant style. 9. Want something a bit lusher? We love how the stone- and wooden surfaces enhance this backyard patio’s natural look. Want some more style tips? Enjoy these 19 spectacular and affordable patio ideas. 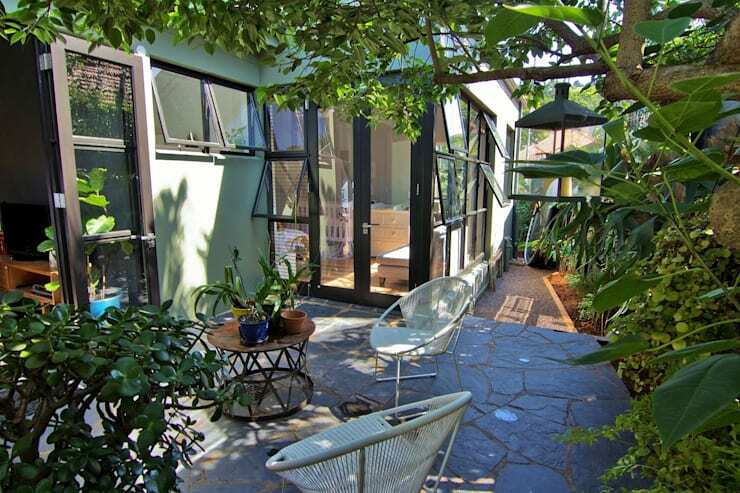 Which of these patios inspire you the most?